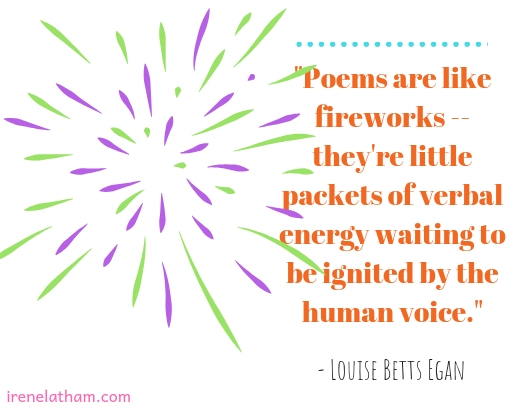 Welcome, Poetry Friday friends! Roundup is here at Live Your Poem!! You might notice the blog has a new look. 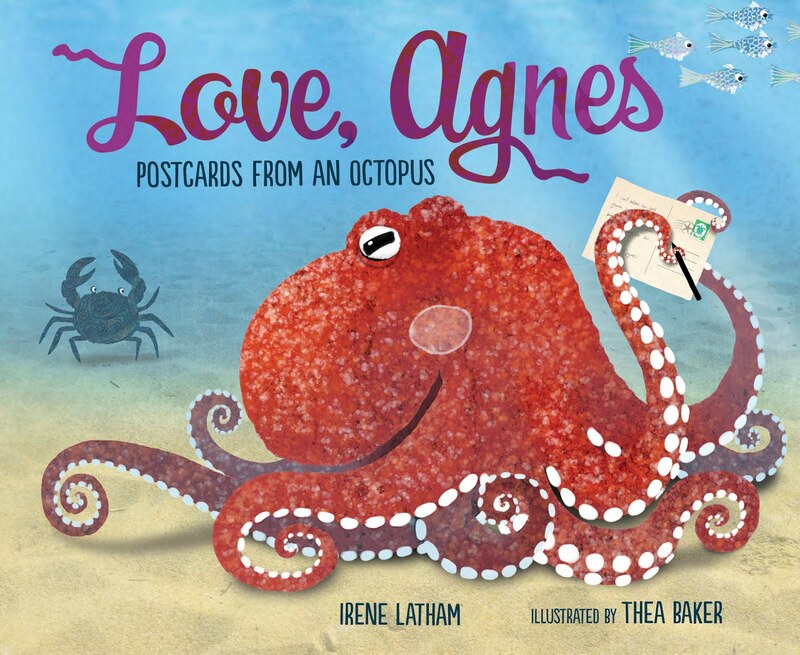 Yes, I am in the process of renovating all my materials to include this happy, imaginative little octopus, specially created for me by Thea Baker, illustrator for LOVE, AGNES. I have been thinking about this for several years, as my bibliography has grown and my writing life has moved away from adult work. 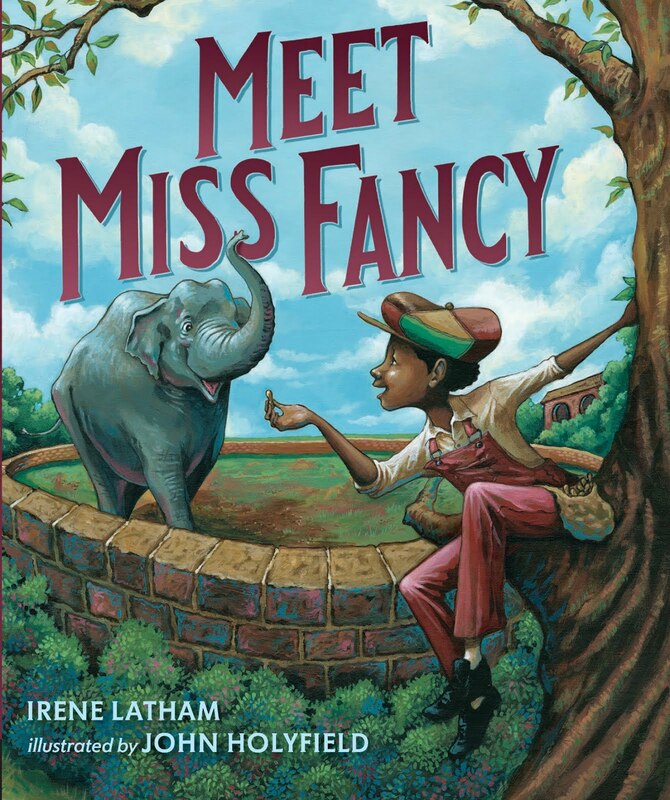 I decided I wanted to fully embrace the joy of writing for children! But it's hard, you know, letting go of the old... Our shifting identities are intensely personal and come barnacled with all that has come before... and how to predict the future? 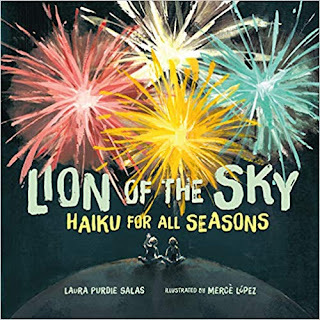 you'll find the linkup below, and today I want to share with you a beautiful book of poems by one of our own: LION OF THE SKY: Haiku for all Seasons by Laura Purdie Salas, illustrations by Merce Lopez, brought to us by the good folks at Lerner Publishing (April 2, 2019). This book is beautiful, both in words and pictures. Laura has graciously given me permission to share one poem for each season, and boy was it hard to pick! 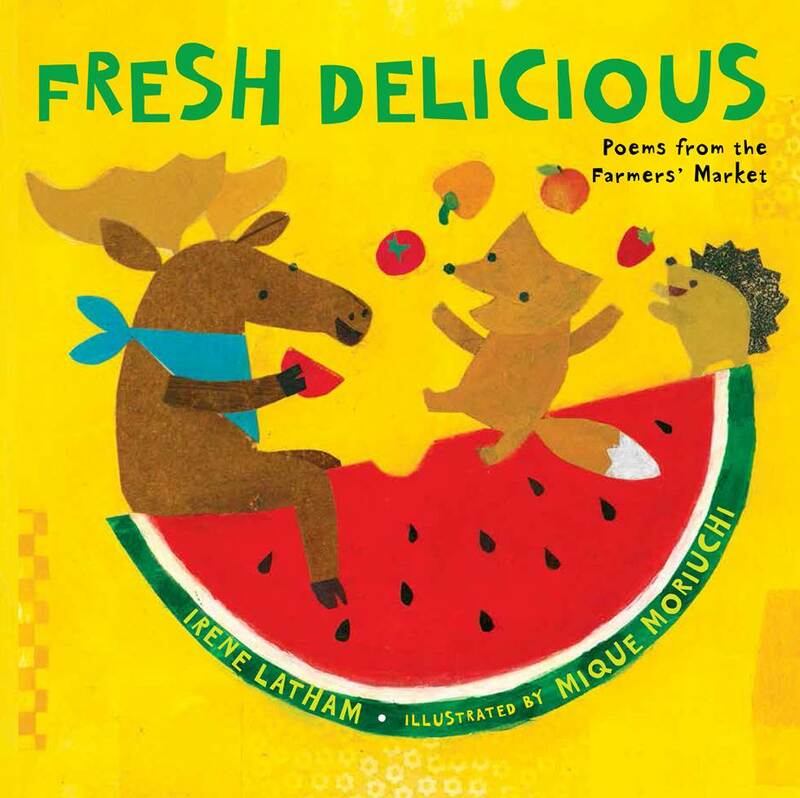 These poems aren't haiku for the haiku purist -- they do follow the 5-7-5 syllable scheme, but they are bursting with all sorts of rich, evocative metaphors -- which aren't employed in traditional haiku, where the focus is on the literal experience of the moment. Helpful article about tenets of traditional haiku found here. 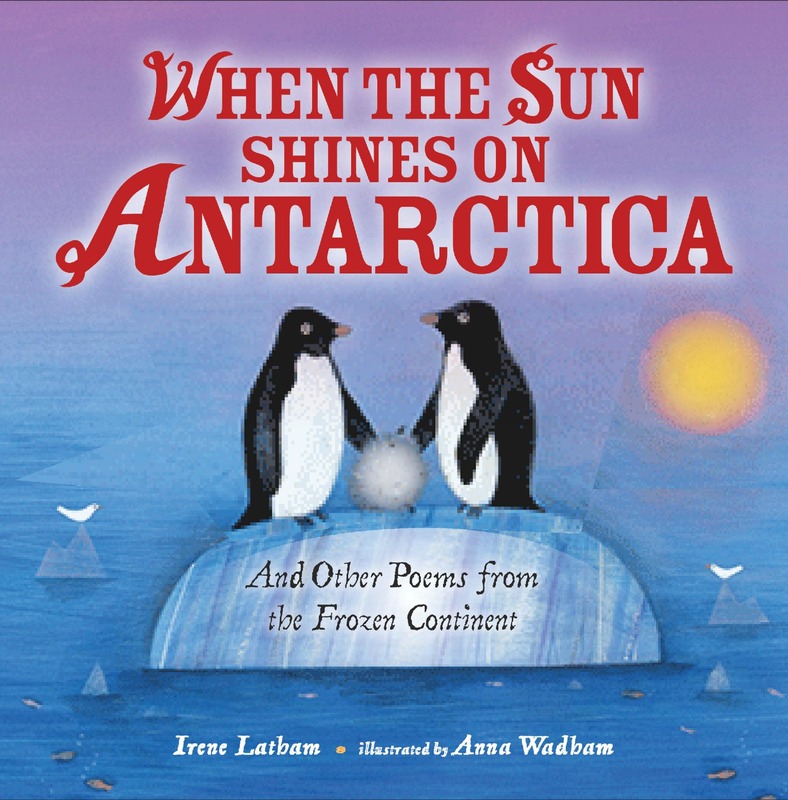 Plus, these poems have an additional fun element: they're all riddles! In fact, the collection grew out of one of Laura's National Poetry Month projects which she called Riddle-ku. 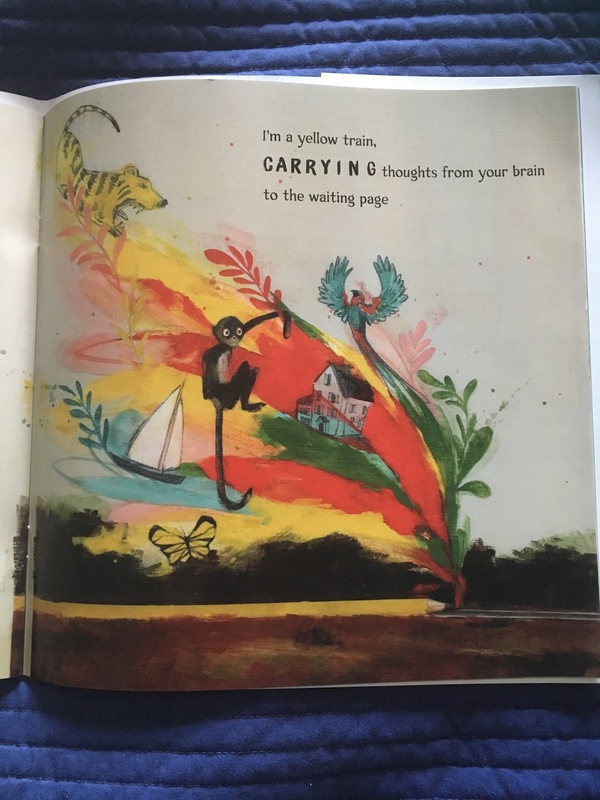 There's a wonderful note from Laura about this at the back of the book, and an invitation to readers to try crafting their own riddle-mask-haiku. Giveaway! Laura is offering one autographed review copy for one lucky reader. Simply add your comment to this post by noon Thursday, Nov. 29, and Maggie the cat will select a winner! Winner will be announced next Poetry Friday (Nov. 30). you and I, we FLY! Did you guess them?? The art in the book is exquisite, and really helps guide the reader to the answer. [answers: umbrella, fireworks, pencil, ice skates] There's also an answer key at the back of the book. 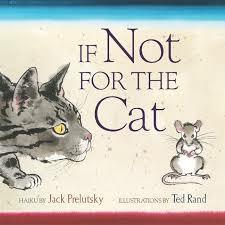 You may remember a similar book that was popular a number of years ago: IF NOT FOR THE CAT, haiku by Jack Prelutsky, paintings by Ted Rand, brought to us by HarperCollins back in 2004. I remember poring over this one with my now-grown boys! And I will leave you with a quote that feels apt and true... won't you read a poem aloud today? Happy Thanksgiving! I love the new octopus, Irene. She's adorable and the perfect "hello" at the top of your blog. Thanks for sharing Laura Purdie Salas' new book. I'm looking forward to reading it. And special thanks for hosting today! Thank you so much, Irene, for sharing! I must find If Not for the Cat. You or someone else mentioned it at NCTE, but I haven't read it, I don't think. Thanks for hosting and for always being such a generous member of the poetry community. You are a role model. Love the new look and octopus! Excited to send an F&G of LION to the giveaway winner. I love Agnes with that tiny yellow bird, would love to be near to hear their conversation, Irene! And I remember Laura's riddle-ku, used some of them with students that April. What a beautiful book. The riddles are fun and the art looks fabulous. You've had a lovely week, and now time to celebrate your new look for your web page and new thoughts about your writing. Thanks so much for hosting this Thanksgiving eve, and day after! I love the happy purple octopus, "barnacled with all that has come before," and your focus on FUN. 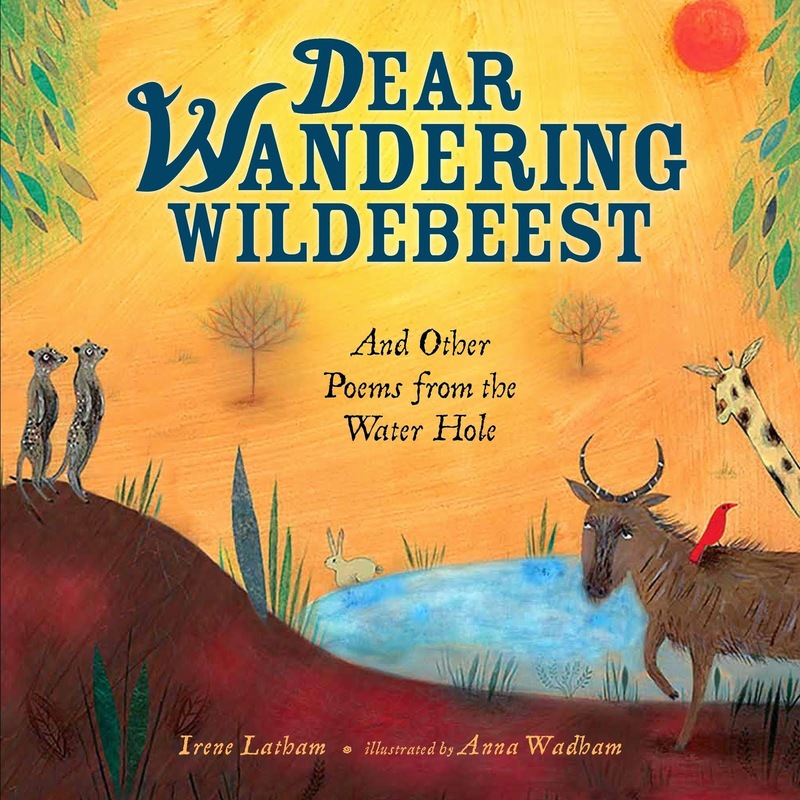 Thank you for sharing a glimpse of Laura's clever new book! Thanks, Irene, for hosting today. I love Agnes, and I love the new blog look! Conincidentally, you also feature prominently in my post for today! Love your purple octopus and complementary yellow bird leading us into your blog page Irene! 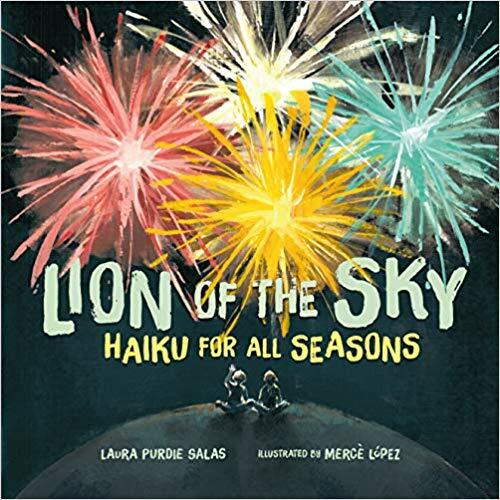 Laura's new Haiku book looks delightful and I love the art too, thanks for sharing it with us. And, thanks for hosting this week with a rich cornucopia of poetry books! Am looking forward to reading this new gem. Thank you hosting this week. I love the new look and your thoughts on your changing blog/writing identity. "Our shifting identities are intensely personal and come barnacled with all that has come before..." Thanks so much for sharing Laura's newest book and the read along link for "If Not for the Cat." I'm looking forward to exploring both! Thanks also for hosting this holiday weekend. Loving the new look of your blog, and this is such a wonderful book! I did guess all the riddles. I'm thinking my students would like reading and writing riddles like this. Thanks for hosting! It's so good to be back! What a happy new look for your blog. Congratulations to you and Charles on your Huck award. You have sent a much-needed book into today's world. May it start many important conversations. Thank you for hosting today, Irene! Your new blog header is charming and so inviting! 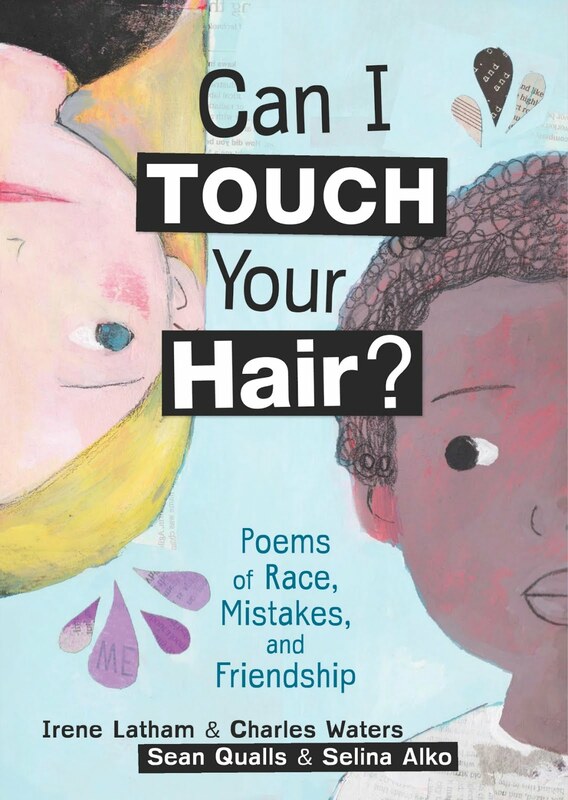 Congratulations on the Huck award for Can I Touch You Hair? You and Charles must be over-the-moon thrilled! Thank you, too, for giving us this peek at Laura's new book. I know my students will love it. I love your octopus image and how you are embracing imagination for your identity. Don't put my name into the the giveaway because I got a copy of Lion of the Sky at NCTE. I am inspired by the form and can't wait to try it with my students. Thanks for hosting over this holiday weekend. Happy Thanksgiving All! Laura's book looks beautiful, all the way around and through - from visuals to text! I'm subbing a haiku collection myself, so I'm always looking to see how others approach the form in their own voice and style. Thanks for sharing this, Irene, and for hosting! Thank you for hosting! Happy Holidays! After a lengthy absence from PF, I was so happy to see you were our host today, Irene! I am sad we didn't connect @ NCTE though; I was in the back at your session with Margaret, but I had to leave early, sadly missing the chance to say hello. I love the new look of your blog! 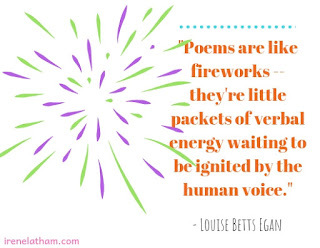 It perfectly depicts who you are and the great work you do in children's poetry. 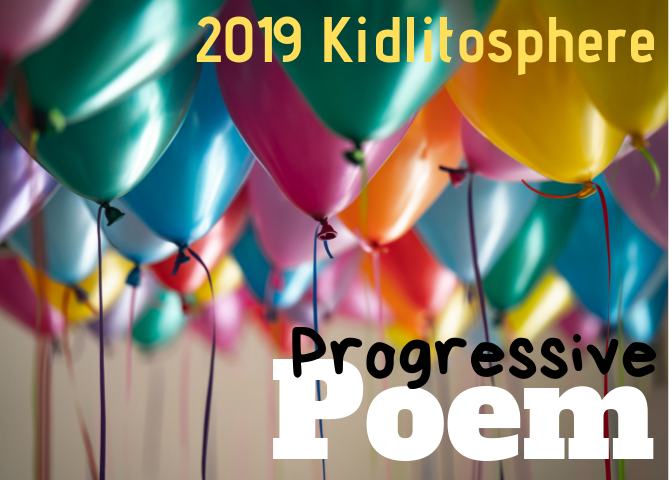 I am well into my second year in kindergarten, and am excited to share your poems with my fledgling writers. TU for this post sharing Laura's new book. It, along with Agnes will be front-and-center as we explore all the poetry as for young poets! Your octopus-header makes me smile (as does your poetry!) Congratulations to you and Charles on winning the Charlotte Huck Award!